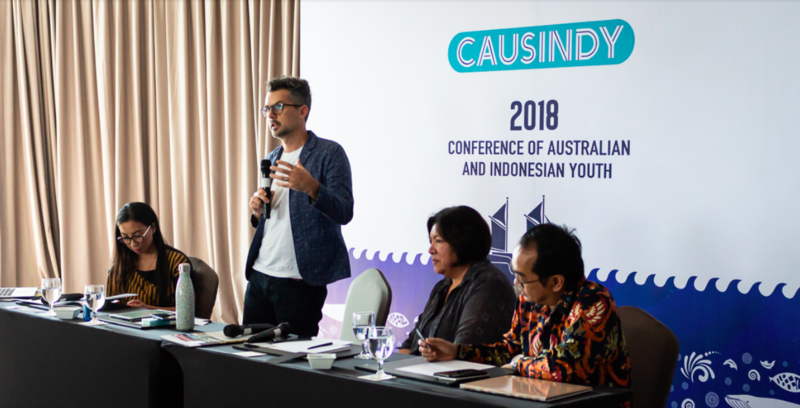 In early September 2018, Simon Baldwin, director of SecondMuse Indonesia went to Makassar to attend the 6th annual Conference of Australian and Indonesian Youth (CAUSINDY), a conference to enhance the Indonesia-Australia bilateral relationship by exploring points of collaborations between the two countries to solve several issues on the chosen theme. 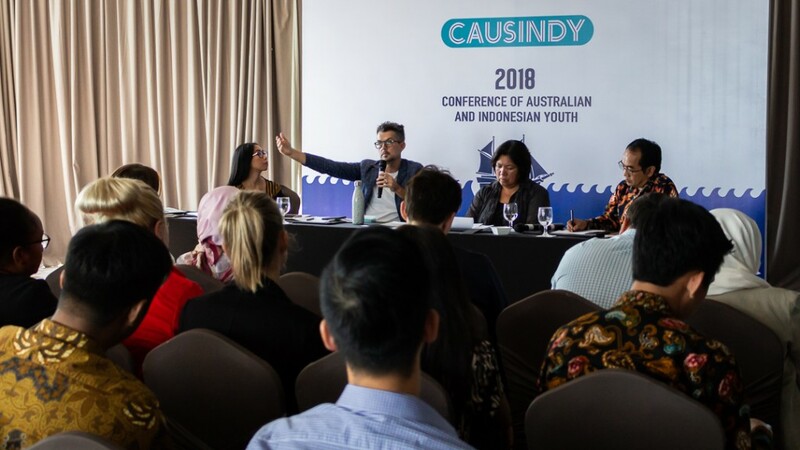 31 youth delegates, including members of parliament and leaders in business, academia, and social enterprise, traveled from across Australia and Indonesia to attend. With a theme of “Connected by Sea”, the conference highlighted the importance of protecting our ocean and coastal areas, as both play an integral role in climate change and a significant amount of people depend on them. Simon spoke on the coastal and environmental panel alongside with Rili Djohani, Co-founder of the Coral Triangle Center (CTC), and Professor Jamaluddin Jompa, Chairman of Center of Excellent on Marine Resilience & Sustainable Development (MaRSAVE) at Universitas Hasanuddin. Simon explained how the work of SecondMuse in Indonesia relates to sustainable oceans. During the panel discussion, Simon introduced two SecondMuse Indonesia projects revolving around the ocean: Seafood Innovation Project in Bali, and Ocean Plastic Prevention Accelerator in Surabaya, two just announced as part of the G7 Summit in Halifax. Both projects are funded by Australian Government’s Department of Foreign Affairs and Trade (DFAT) as innovation incubators that will support the development of region-specific solutions to create a more sustainable seafood sector and to reduce plastic entering the ocean in Indonesia. Cited as a significant take-away from the CAUSINDY panel, Simon described how collective effort can be the fuel of lasting innovation that solves our ocean’s issues. Simon explained, “We are creating a community-sourced incubator to make our ocean healthy and sustain this vital natural resource for generations to come.” Simon added that this means “closing the loop” of plastic waste by partnering with organizations and private businesses involved in local waste management, as well as fostering innovations in waste management of ocean pollution. This effort includes discovering scalable innovations to boost the supply of sustainably-sourced seafood and increasing market demand for sustainable ocean products in Indonesia.